FOUNDED 1752. 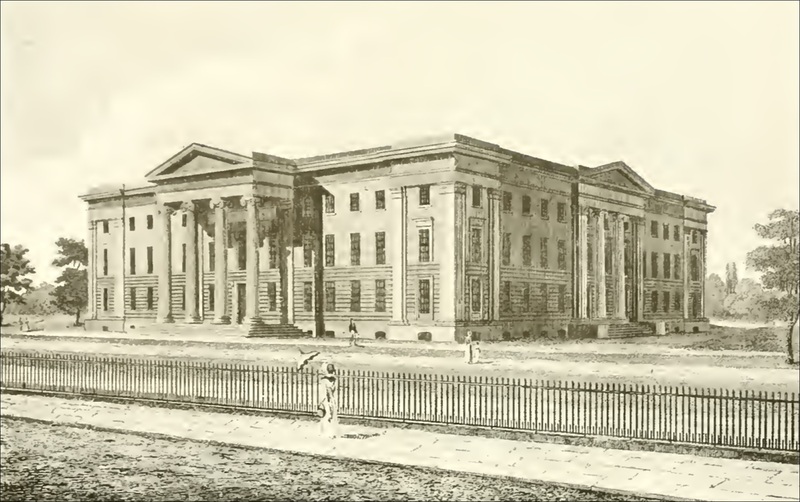 Became the Manchester Royal Infirmary in 1830. LOCATION Oxford Road, Manchester. Originally located in Piccadilly. BIBLIOGRAPHY Brockbank, Edward Mansfield (1904): Sketches of the lives and work of the honorary medical staff of the Manchester Infirmary from its foundation in 1752 to 1830 when it became the Royal Infirmary (Manchester University Press). | Brockbank, William (1952): Portrait of a hospital, 1752–1948. To commemorate the bi-centenary of the Royal Infirmary, Manchester (London: William Heinemann). | Brockbank, William (1965): The honorary medical staff of the Manchester Royal Infirmary, 1830-1948 (Manchester University Press). | Brockbank, William (1970): The history of nursing at the Manchester Royal Infirmary, 1752-1929 (Manchester University Press). | Hogarth, Stuart (2007): Joseph Townsend and the Manchester Infirmary: a plebeian patient in the Industrial Revolution, in Borsey, Anne & Shapely, Peter (eds. ): Medicine, charity and mutual aid: the consumption of health in Britain, c. 1550-1950 (Aldershot: Ashgate Publishing): 91-110. | Levene, Alysa; Reinarz, Jonathan & Williams, Andrew (2012): Child patients, hospitals and the home in eighteenth-century England, Family & Community History, 15(1): 15-33. | Renaud, F. (1898): A short history of the rise and progress of the Manchester Royal Infirmary from the year 1752 to 1877 (Manchester: J. E. Cornish). | Thompson, Carolyn (1989): A history of men in general nursing with special reference to Manchester Royal Infirmary (MSc. thesis, University of Manchester). ORIGINAL RECORDS University of Manchester Library. See listing.